12' x 24' Detached installed in (1) day. 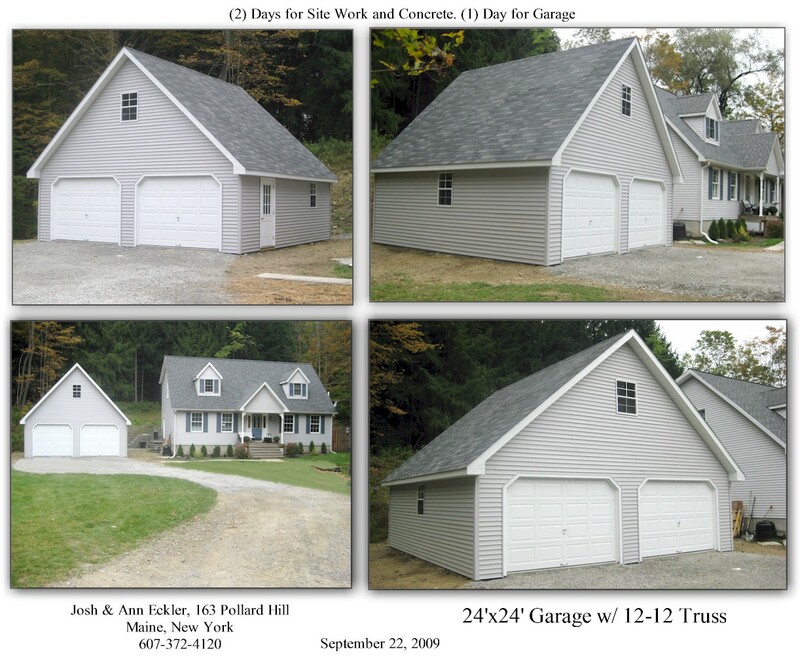 Eckler 24' x 24' with 12/12 roof truss. We build every month of the year. The most important part is getting the foundation in before frost sets in. After the concrete is in we have control of the job and can build any day we want, even on a snow day. 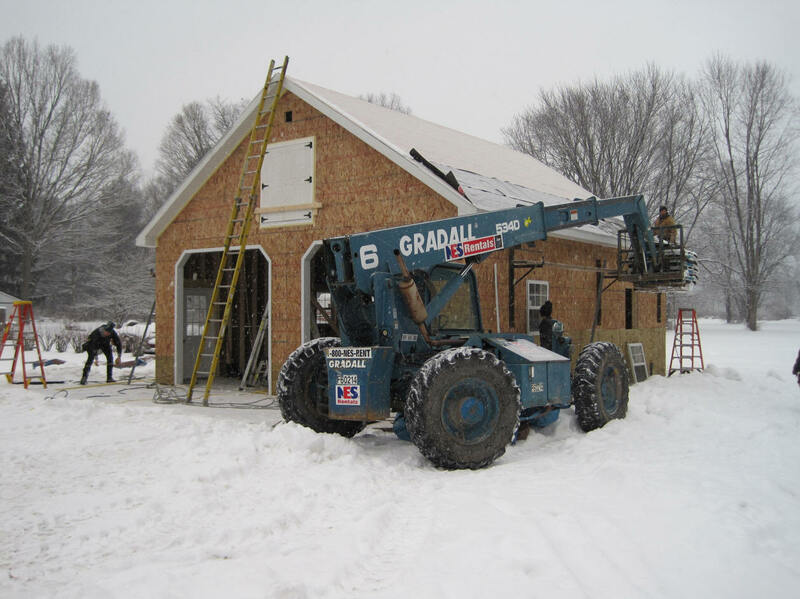 The 26'x 30' above was built in December 2009 and features an 8/12 attic truss with loft doors.